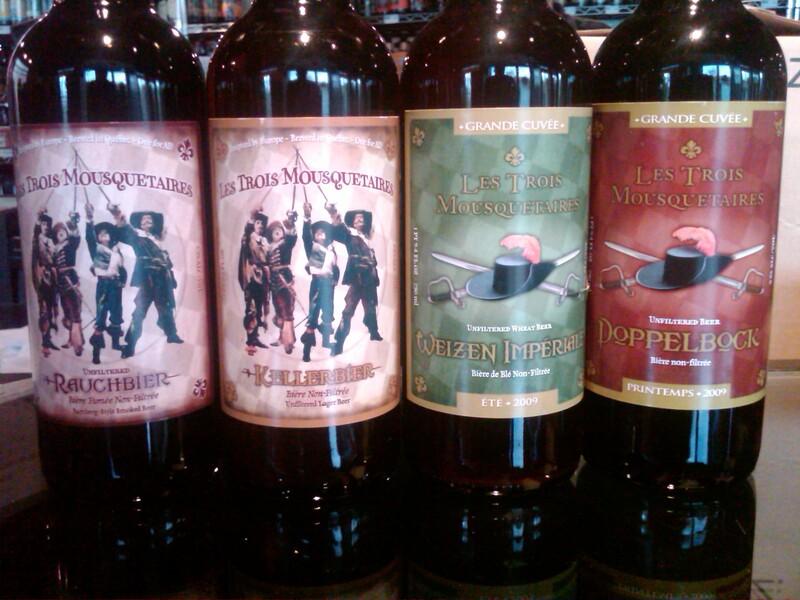 Les Trois Mousquetaires Brewing is here from Quebec, Canada. The name “Les Trois Mousquetaires” translates to “Three Musketeers” in french, and is located near the famous Unibroue Brewery. Started in 2004, Les Trois specializes in German style beers with a French/Belgian twist. The brewery currently has a website and Facebook page, but neither are active. Serie Signature Rauchbier – 6% ABV. Chocolate, raisins, smoked malts. Serie Signature Kellerbier – Keller Bier, 5.5% ABV. Zesty & bitter. Hops are floral, & grassy. Some lager yeast character. Doppelbock Grande Cuvee Printemps – Doppelbock, 9.5% ABV. Sweet caramel malts. Some chocolate. Biscuit & fruit. Imperiale Weizen Grande Cuvee – American Pale Wheat Ale, 10% ABV. Honey, clove banana. Soft wheat malt finish. Availability: 750 ML Corked & Caged. Looking for these? 8/18 Hop City has all 4 in stock!